Blog / Diamond CBD Review: How Do They Stack Up? Diamond CBD is one of those companies that seriously stops at nothing in terms of the various types of CBD-based products that they sell. Anything and everything you’ve ever heard of (vape oils, CBD tinctures, edibles, gummies, candies, creams, sprays, capsules, etc), they’ve got it all – along with a lot of other things that you probably haven’t heard of. As such, with that much “stuff” available it is honestly a little bit overwhelming (and difficult) trying to decide on the product that might be the best for you. Also, it doesn’t help that some of the “product descriptions” on their website are a little, ehm, confusing… to say the least (more on that later). Regardless, with the huge online presence that Diamond CBD has been developing in recent months, we had to check them out for ourselves and see whether or not their products lived up to the proverbial hype, or if they’re just another one of these “scam brands” that’s trying to make a quick buck off the booming cannabis industry. Given the nature of the CBD (and cannabis) industries and the vague, “loosely-understood” legislation that surrounds their respective markets, it’s honestly pretty tough getting to really know who the people behind the company are. It seems that most cannabis industry brands stay fairly tight-lipped with regards to where they operate, where they get their manufacturing “supply” from (i.e. the raw hemp material), and who’s in charge. With that in mind I actually gave the company a call (1-305-615-1194) to see if they had a physical location that I could visit in order to get a better idea of their products and what they were selling. While the operator was very nice and friendly (I suppose that’s their job to be nice to potential customers), all she told me in regard to their location was that their offices and warehouse was located in south Florida (Miami area), but to purchase I had to either order over the phone or order directly off of the Diamond CBD website. She did however say that smoke shops and head shops all around the country carry their products in-store, but she couldn’t give me an exact list of which ones actually carried Diamond CBD. Given their location, though, I would suspect that the majority of shops that carry them would be in Florida. In terms of Diamond CBD products, extraction processes, and their raw hemp supply, the company does in fact seem to have a pretty spot on operation. They are partnered with industrial hemp farms in Kentucky, Colorado, and Scandanavia, and every batch of their harvests are quality checked for standards – including the absence of GMO’s, pesticides, fertilizers, and heavy metals. Once the raw hemp is approved by the quality control team, the natural CBD is extracted using supercritical CO2 equipment (which is by far the best means of extraction), and then sent to third-party labs for content and purity testing. Once it “passes” the third-party lab report, the CBD extract is ready to be manufactured into one of the 607 different products that the brand sells. Yep, you read that right — according to their online web store, Diamond CBD currently has 607 different CBD-based products for sale. If you click on the “All” button on the home page, it gives you 50 different pages with 12 products per page, plus an additional page with 7 products. A simple punch of the calculator tells you that 50 x 12 = 600, plus the extra 7 equals 607 total products for sale (it is worth noting however that 19 of them were sold out, so technically they “only” have 588 products for sale). As much as we wanted to (yeah right), we simply didn’t have the time – or money – to test out 588 different products. As such, the only ones we were able to personally get an opinion on were the Diamond CBD Infused Gummy Bears, the Strawberry “Chong’s Choice” CBD Vape Pen, and the 1,000 mg CBD Crystal Rock Dabs. Let’s see how they fared. On the website under size/weight/quantity for the CBD infused gummy bears, it says that they come in packs of either “4 or 6.” Really? Is it honestly that hard to tell us how many gummy bears come in the pack? Unbelievable. 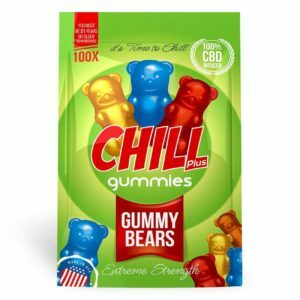 To be fair, they ended up coming in a pack of 6, which would mean that each gummy bear contained 5 mg of CBD (the package claims there is 30 mg of edible CBD total, so 30 divided by 5 would be 6 mg each). Rating: 7/10 – Not to keen on sweet stuff but they were effective. I could be totally wrong here, but I once bought a disposable CBD vape pen from a vape shop by my house for $12.99, and it seemed eerily similar to this one. Also, it’s worth pointing out that if you do a simple search on Google or Amazon, you can bring up a host of disposable vape pens for less than $10 – including shipping. So is Diamond CBD simply just using one of these ultra cheap pens, adding Tommy Chong’s endorsement on it (they must be making a lot of money by the way if they can afford to endorse Mr. Tommy Chong himself), and marking it up 500%? I honestly have no idea. Maybe, maybe not. I will say that the vape pen itself seemed to work extremely well, and the strawberry flavored CBD oil that was included tasted OK as well. In terms of effects it also seemed to work way better than the gummies – I had a pretty splitting headache recently and took a few rips off the “Tommy Chong” pen, and it took care of it within about 15 minutes. Again that’s just my own personal experience. I then asked him how much CBD was actually in the “Rock Dabs” because on the bag it said there was 1 gram, but on the product page under size/weight/quantity it said 60 grams. Again, I got a prompt answer; “the Rock Dabs do indeed come in a 1 gram vial.” He also literally “promised” me several times that the product would work immediately, and that he personally used this “exact product” and absolutely loves it. A nice guy, but the whole thing just seemed super forced and sales pitchy. Anyway I went ahead and ordered the 1,000 mg Rock Dabs, and they did work pretty nicely (I waited til I had a pretty splitting headache to see what kind of effect they had). You can actually use these with a dab rig, but you’re not so much dabbing as you are simply dumping one of the little rocks onto the nail and inhaling while it vaporizes. I used a full-size dab rig with a titanium nail and a carb cap, but if you’re going to be using a vape pen or something with a chamber on it, I would recommend the powdery “Crystal Dabs” instead as the chamber will be much easier to fill up. Diamond CBD also suggests you can use the Crystal Dabs to sprinkle over food (they have a video of someone sprinkling it over a plate of spaghetti like parmesan cheese, which was pretty funny), and I also know that a lot of people like to sprinkle CBD isolate into joints or bowls of dry herb, in order to even out the THC:CBD ratio of the strain they’re smoking. All in all, Diamond CBD has created a few great product. They could improve their website and make sure it is more accurate but overall the brand ranked high on our charts. So would I buy a Diamond CBD product again? Probably yes. I would really like to try some of their “Liquid Gold” CBD oil and maybe some of the super potent 10,000 mg Crystal Dabs. Maybe next time I will! Want to learn more about DiamondCBD, visit them on their official site.